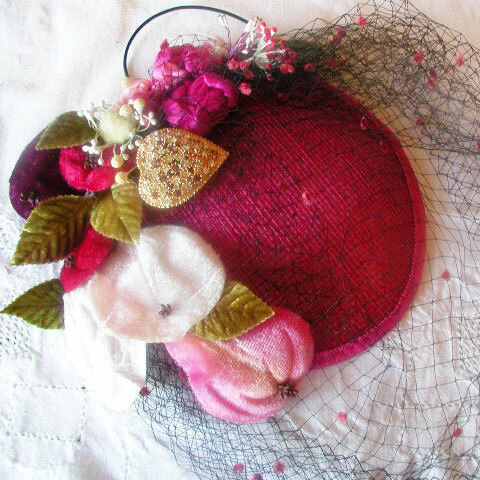 This one of a kind crimson fascinator, has a sinamay base, with French antique veil in black with little chenille dots in hot pink, then that wonderful unused vintage display of pressed velvet fruit! 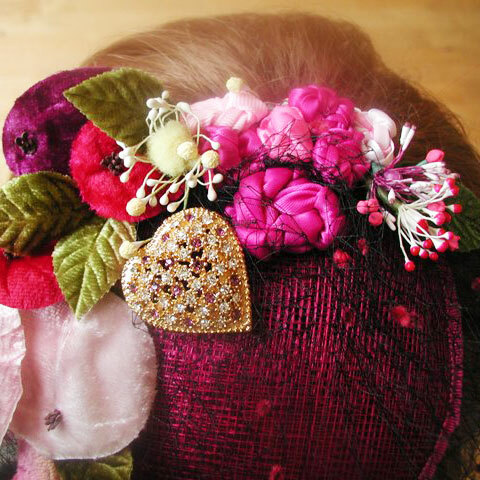 Added to that, lots of ribbon knots, vintage stamens/buds, and a sparkley heart brooch which can be worn with other things. It is fitted with an elastic which is hidden under your hair. Perfect for any special occasion. Something really different!! 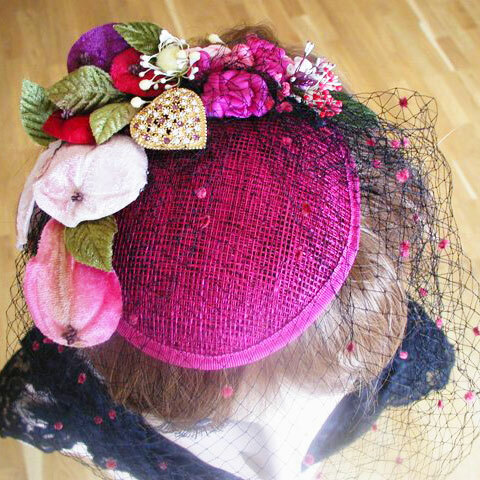 You can be sure you will never bump into anyone wearing a crimson fascinator like this one!